Below is a comprehensive list of hotels in Torquay. Use the sort links to refine your search or to find featured accommodation in Torquay. Many of our hotels in Torquay feature no booking fees and best price guarantee when booked through the Pictures of England website. 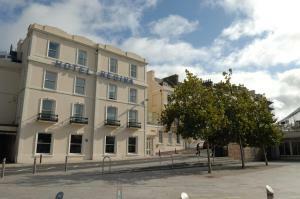 To list your hotel in Torquay, click here. 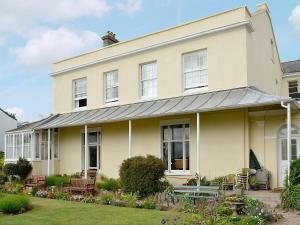 Featuring a garden, Braganza is a holiday home set in Torquay in the Devon Region. Providing free private parking, the cottage is 800 metres from Mead.. Apartment 1 Braddon Villa is a holiday home set in Torquay in the Torquay City Centre district, 800 metres from Meadfoot Beach. It provides free priva.. Within 2 minutes’ walk of Torquay's harbour-side, Trinity Mews provides stylish self-catering accommodation in south Devon. The apartments are on th..
With a quiet location away from traffic noise, Yardley Manor has free Wi-Fi and guaranteed free parking on site. It boasts an outdoor swimming pool, a..
Set in Torquay, 500 metres from Meadfoot Beach, Harbour Heights Guest House features a terrace and views of the garden. Every room has a flat-screen .. Quietly situated on one of Torquay's 7 hills, The Redholme offers free WiFi in each room and free off-road parking. This family-run Victorian villa is.. In the centre of Torquay, the Torbay Hotel enjoys stunning harbour views and has a restaurant, bars and indoor swimming pool. Within a short walk of .. Ideally situated on the harbourside in Torquay, with the main shops and restaurants within 10 minutes' walk, Regina Hotel offers en suite accommodatio.. Situated 10 minutes’ walk from the restaurants, bars and shops of Torquay Harbour, Bedford House Holiday Apartments are set back from the road with .. Situated in Torquay in the Devon Region, this holiday home is 400 metres from Meadfoot Beach. 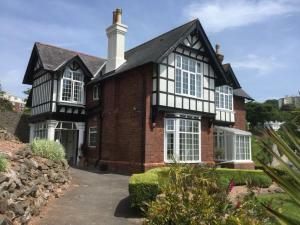 The property is 1.4 km from Torquay Library and features..
Woodfield Manor Apartment is a holiday home situated in Torquay in the Devon Region and is 400 metres from Meadfoot Beach. The cottage is 1.4 km from ..
Offering great sea views, Astor House is set close to Torquay's beach, marina, and town centre. 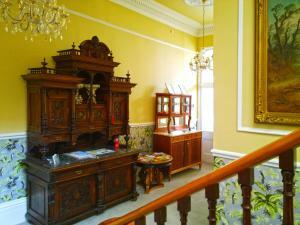 With stylish furniture, this Victorian villa offers we.. Featuring free WiFi throughout the property, Ben Venue is a holiday home located in Torquay, 900 metres from Torquay Library. The unit is 900 metres f.. 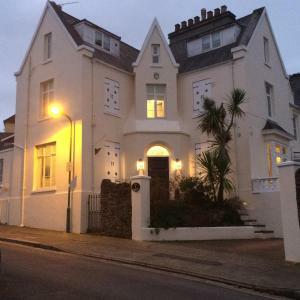 Located 800 metres from Torquay Library, Lemon Tree Cottage offers accommodation in Torquay. The unit is 800 metres from Torquay Connections - Torbay ..
Court Prior is located in the centre of Torquay and within 20 minutes’ walk of the town’s seafront and railway station. This charming Victorian vi.. Located in Torquay, The Birdcage Bed and Breakfast offers free WiFi access and free on-site parking. Meadfoot Beach is just over 5 minutes' drive away..
Overlooking the bay just 200 yards from Torre Abbey beach, The Heritage Hotel in Torquay boasts a lively bar and restaurant with a large south-facing .. The award-winning Delamere Court is housed in a Victorian mansion situated in Torquay and 100 metres from Meadfoot Beach. It features a pool set in ga..